UPDATE: IF YOU CAN'T LINK BELOW, I WILL BE SURE TO INCLUDE YOU IN THE DRAWING. Just leave me a comment saying you can't. Thanks! Welcome to Scrappin' Sista and the CookingWithCricut.com Holiday Blog Hop! If you've come from visiting Cathie at Creative Cutter, you're in the right place! If you've just happened across my blog and would like to play along with our fun hop, you can go to CookingWithCricut.com and start at the beginning. Go HERE. With the holidays fast approaching we are sharing some wonderful ideas and inspiration for your viewing and crafting pleasure! Each Design Team member will be featuring an original project made especially for this hop. Make sure to check out each DT member's blog. There will be prizes along the way at our DT members' blogs, AND there will be some nice PRIZES with a few different ways to win at CookingWithCricut.com! Day 1 Project - I created a gift card holder. RECIPE: I started with the core of a toilet paper roll. I placed a strip of adhesive in one end to secure it. Next, I measured the tube and cut my paper to match the size of the core all the way around. I'm being general about the measurements because not every core is the same size. You will need to measure yours and adjust accordingly. Cover the core using Modge Podge or another similar adhesive and the paper that you cut. I used a digi that was provided by our wonderful leader and DT Head Chef Melin for the main feature. Isn't he adorable? I mounted the image on a layered cardstock that is 1/4 inch larger on each side. This was mounted with pop dots. I love those things! I used a small scalloped punch to make the slit for the tag that holds the gift card. The gift card is mounted to a tag that I cut out using the Tag, Bags, and More Cartridge. I really like this project though I would like to have had time to tweek it a bit. I had Cricut and computer issues. 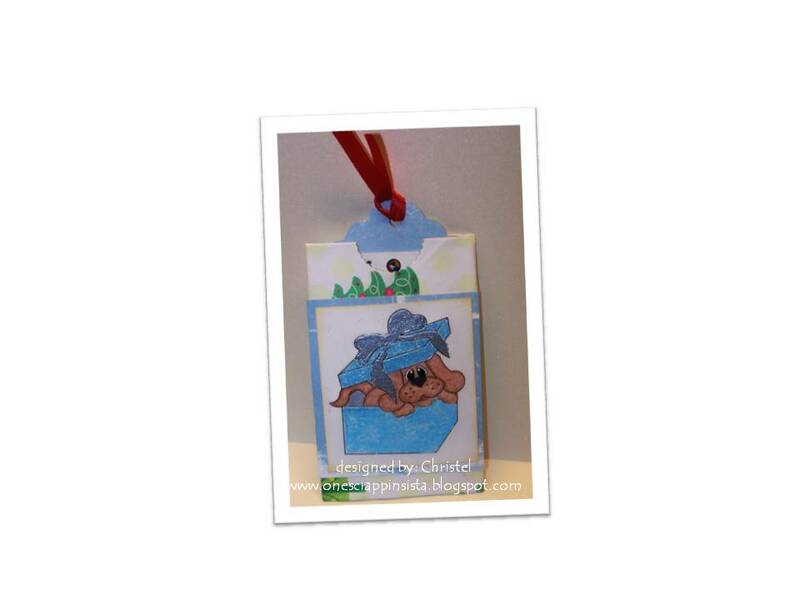 I'm offering the Gingerbread 2010 cutting file or digital stamp to one of my hoppers. All you need to do is place ONE link to your blog in the Mr. Linky below. It's real easy. If you have problems, email me your blog addy plus your email address at christel(at)majesticdesigns(dot)net and I will put the link on for you. I will use the Random Generator to select one winner on Wednesday, November 17. Now it's your turn! Let’s see your wonderful holiday projects. Be sure to try and include a Cricut or other die cut machine on your project and link it up at CookingWithCricut.com. Next stop...Kristal's blog (Yep there's two of us. ), Getting Cricky with K Andrews. Go see what she has in store for you today... And when you're done, make sure to head back to CookingWithCricut.com and get entered to win! I love your gift card holder ,and the uppy image is adorable.. Thanks for the chance to win.. I love the little tags, they are one of my favs to make! Super cute! Cute way to livin up that gift card TFS!!!! How clever using a toilet paper roll! Great idea. I love to give gift cards. Very cute gift card holder! The link will not allow me to post any information! Very cute project!!! thanks for sharing!!! Very cute gift card holder... I need to start crafting for Christmas! Thank you for sharing and being part of this hop! What a great idea. I never thought about using a toilet paper roll for a gift card holder. Thank you for sharing. 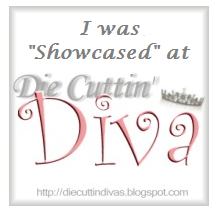 Thanks for the joining the blog hop. Just became a follower of your blog. Cute gift card holder! thanks for sharing! I love your tag! It is just so precious! 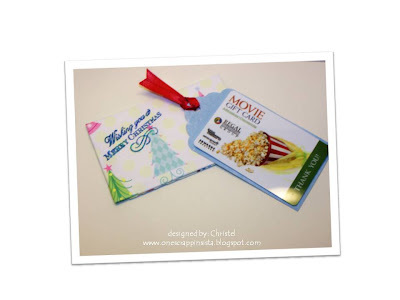 I'll be giving away several gift cards this year and I LOVE THIS IDEA! Thank you for sharing your creativity! love the tag. so cool. Super cute! Thanks for sharing your amazing talent! awesome job! I love GC holders! The tags are so cute and so creative. I have not used my Tags, Bags, Boxes and More cartridge yet but I will use it for presents now. great use of a toilet roll! everybody loves a gift card holder. Great tag idea and recyling too! Sorry I can't link to your blog since I don't have a blog. Who doesn't love a sweet puppy Holiday tag! Great idea. Love the gift card tag. Also linked to the post. I want to tell you that I love the stories about your dad! You must be so proud!! My dad was a Marine in WWII. I am proud that he served our great country! I have to ask you if you share the secret ingredient to the potato salad? I would love to try it. I tried, but I don't know how to link. I am following you now though!!! You are a girl after my own heart! I love that you found a use for the toliet paper roll!! LOL I know I will be keeping mine to try the same idea. Thanks!! sorry. I don't know how to link. I tried to link and was told not without your permission....sniff sniff. This is the cutest idea. I am a huge fan of any project that "upcycles" Thank you for sharing. Good idea to repurpose those toilet paper cores! Very cute tags. I may have to use this for christmas this year... ;) Beautiful project! The tag gift card holder is awesome! I really love it!!!!! Such a cute idea! Very original and creative! Love that. Can't do a link as I don't have a bog! Thanks for sharing your idea. 2 cute! What a great idea for gift card giving! Love it! Now that is what I am talking about!!! MOVIE GIFT CARD!!! I love me some movies. I love what you did. Great job. Very nice gift card holder! A holiday must anymore for those hard to buy for people! Great idea and thanks for sharing! Very, very cute! love the gift card! Your tags are really cute ! I also love your reminder on your blog to count our blessings. Sometimes we need to remind ourselves of all that we are fortunate enough to have that is good and that it was all provided for us by the Lord . Great idea! I love your gift card holder. Thanks for the chance to win! What a great idea and it won't get lost this way. I do not have a blog, so I am leaving a comment. I do not have a blog yet, so I am leaving a comment. What a great idea to make a gift card holder. Yes!!! Terrific idea. Cute puppy too! I love your card holder and that adorable puppy! Gotta get busy on some projects.. I love your tags - you make them look so easy and fun to do. Thanks for sharing. Also - thanks for participating in this Holiday Blog - I love all the ideas. 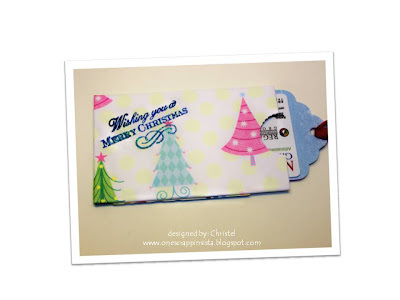 I love the your idea of how to make a gift tag holder! TFS: ) I do not have a blog so I am just leaving a comment! Such a cute idea for a gift card. Great idea for giving a gift card... Love it. Love that idea! Your holders are very cute! Nice ideas, thanks for sharing. I have this same paper in my stash and I have been working on using my stash up. I will be adding this to my ideas. Mr Linky is MIA so I will link my blog here in the comments. toilet paper roll, seriously?!?!?!?! cool! Toilet paper roll....very clever!! Love your gift card holder...that puppy is the cutest!! My kids would love to find him under our tree!! Beautiful cards, I have tried to link but I don't know how to. I will follow your blog tho, and can't wait to see more of your work. Love the gift card holder. It looks great! Who knew that toilet paper rolls had so many uses!! Great idea! What a cute gift card holder! Love it! TFS! Love your tags! I wasn't able to link up my blog either!